List Rules Vote up the best steeds in the realm. If dogs hadn’t stolen our hearts first, horses would certainly be human’s best friend. In the world of video games, horses are the best animal companion you could ask for. They’re a quick, natural means of exploring untamed wilderness. Plus, horses will haul all of the spare armor and swords that you just can't bring yourself to part with and listen to you tell yourself that you aren't really a hoarder. Whether heading into unexplored regions or charging into battle, journeying with a horse makes the road a little less lonely and they will always stick by your side even if it means giving their lives. Of course, not all horses are created equal. These are the best horses a gamer could ask for, the ones you want to appear every time you whistle. The Undead Nightmare expansion opened up the floodgates for all kinds of supernatural stuff in Red Dead Redemption. The entire Wild West was overrun with zombies, sasquatches, and chupacabras but the coolest addition to John Marston’s world were the Four Horses of the Apocalypse: Famine, Pestilence, War, and Death. Each mythical horse came with a special power, but Death, as you might expect, was the coolest and most powerful steed in John’s stable. Death leaves a cool looking ghostly trail behind it, but more importantly it kills, or more accurately decimates, any zombies it touches. Just brushing against Death causes a zombie’s head to explode, which creates loads of fun when riding through a zombie horde on your ghostly steed. If that isn’t good enough, Death is also damn near invincible. 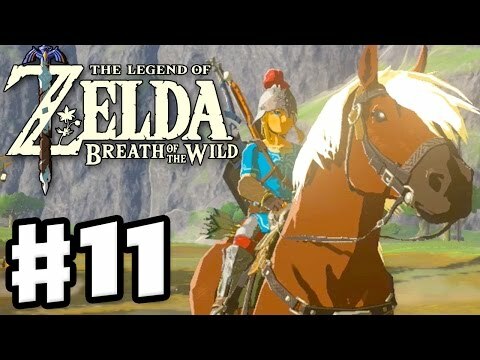 Growing up on Zelda games means a lot of time spent in the saddle with Epona. Players find her as a foal on Lon Lon Ranch, raise her, feed her carrots and apples, and save Hyrule Kingdom on her back. Since Ocarina of Time, Epona has been there every step of the way, and Link would be nowhere without her. Some horses are content to be majestic steeds, but Epona is a hero in her own right. Link would be nowhere without her, and we would be nowhere without Link so let’s thank our lucky stars Epona is around. For all of Witcher hero Geralt's grumpiness, it's somehow cute that he names every one of his horses Roach. The first Roach must have meant a lot to him and if she was anything like the Roach in the Witcher 3, it’s easy to see why. Sure, Roach will occasionally run off in a random direction or refuse to walk over a small piece of lumber. But she also somehow teleports to you when you call her and helps you carry those enormous severed heads of monsters on her saddle. Unlike other horses, Roach also gets the chance to talk. In one very memorable sidequest in the Blood and Wine expansion, Geralt downs a hallucinogenic that allows him to talk with Roach and learns she's more than a simple pack animal. Roach is truly dedicated to her “human,” playing detective to help Geralt find clues and track down a wraith. It turns out Roach is just as complex as every other character in Witcher 3. She just doesn’t get the chance to show it very often because of the whole horse thing. It would be easy to put Shadowmere, the powerful, red-eyed Dark Brotherhood mount, on this list, but honestly every horse in Elder Scrolls V: Skyrim deserves a shout-out. These animals just don’t give a damn. Horses are fierce in the world of Skyrim. Turn your back, and your steed might throw down with a pack of wolves or a bear and probably win. These fiery steeds might not always be convenient — especially when they get themselves killed — but they deserve credit for their take no grief attitude. We’ll take a horse that’s straight outta Skyrim over Shadowmere any day.